Burgess Hill Nursery welcomes girls and boys from 2½ to 4 years. Many girls progress into Burgess Hill Girls Junior Reception class which is just above us in the same building. So not far to go! Our nursery has spacious modern classrooms for each of our three different age groups; Hedgehogs (2½ – 3), Badgers (3 – 4) and Squirrels (3 – 4). 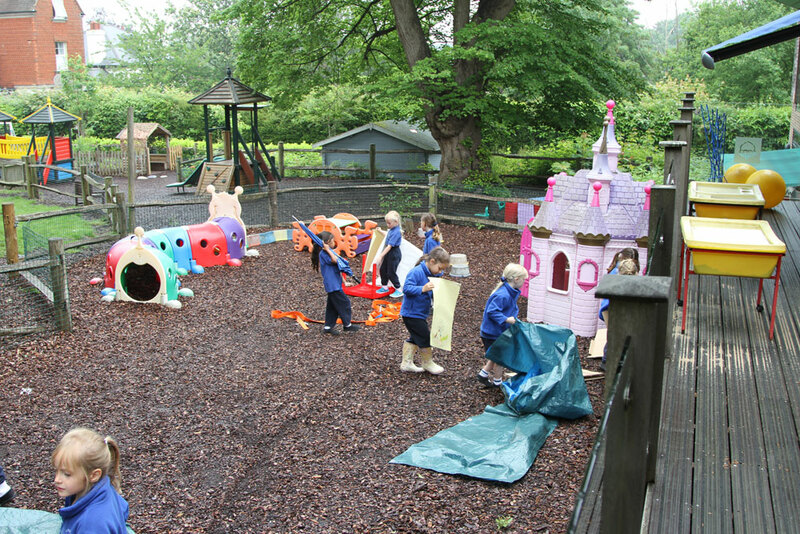 All the rooms have direct access to our fabulous enclosed outdoor play area. As many of our staff are working parents we understand the complexities of organising child care. That’s why our nursery is open 51 weeks a year from 8am to 6pm. We also offer term-time and part-time places and school day hours from 8.30am to 3.50pm. Our dedicated team are qualified, friendly and love working with little ones. 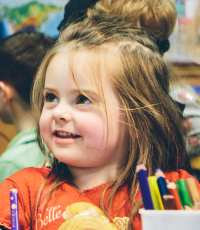 We follow the Early Years Foundation Stage curriculum but above all else we want to give each child the confidence to ‘have a go’ and embrace all that nursery life has to offer. For a taster of life at Burgess Hill Nursery please watch the video below. In December 2014 the Independent Schools Inspectorate rated our Early Years department as outstanding across all areas commenting that ‘the education programmes provide interesting and challenging experiences, which are highly effective in promoting the children’s language, communication, personal, social and emotional development’. For full details on our Nursery fees, please click here. Parents visiting the nursery always comment on the happy and vibrant atmosphere. There is always a contagious sparkle in the air! Please do come and see it for yourself. You can attend one of our Open Events, book an individual visit, or call us on 01444 237 008 to find out more.